The Diablo 3 Anniversary Event is once again returning for 2019, and we've got all the information you need about the limited event right here. In this complete Diablo 3 Darkening of Tristram guide, we'll be providing you with a complete overview for the event, including the Diablo 3 Anniversary Event start date, and much more. Diablo 3 Anniversary Event - What is the Darkening of Tristram? 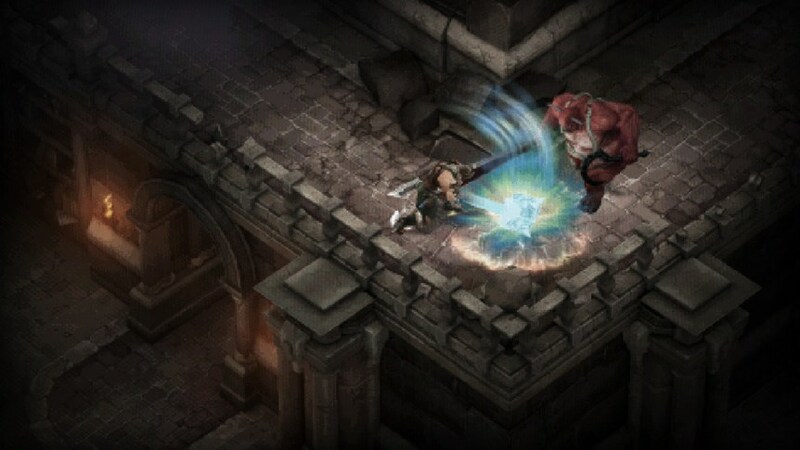 During the Diablo 3 Darkening of Tristram event, players can dive into a dungeon inspired by the original Diablo. It's not actually the first Diablo game recreated and remastered inside of Diablo 3; instead, it's more of a rift reskinned to look like Diablo 1. 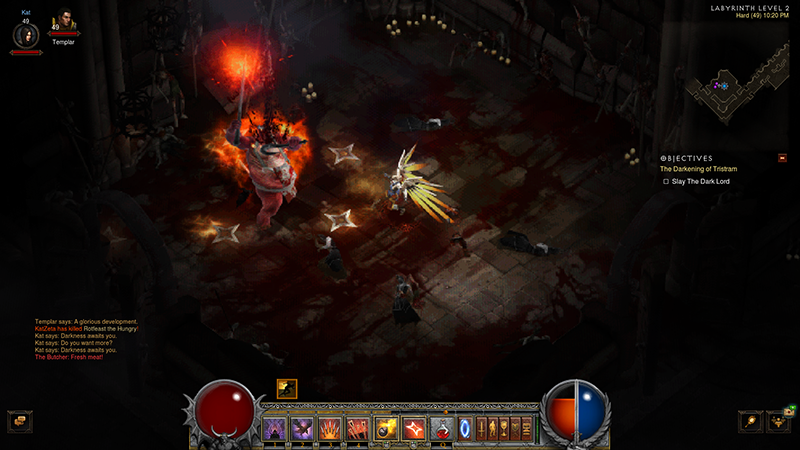 There are graphics and sound that reflect the original Diablo, player movement is restricted to eight directions, and the 16-level rift includes classic Diablo bosses like The Butcher and Diablo himself. When Does the Diablo 3 Anniversary Event Darkening of Tristram Start? Back before the Anniversary Event kicked off, the Cultists heralding the return of the event first appeared in Diablo 3 on January 1. Now that January 4 has come and gone, the Darkening of Tristram event is now live for all Diablo 3 players. Now that the Darkening of Tristram has begun in Diablo 3, you've got a limited amount of time to take part in the event. The entire Annniversary Event will end on February 1, 2019, right around 11 a.m. PT/2 p.m. ET. How Do I Access The New Content in the Diablo 3 Anniversary Event? 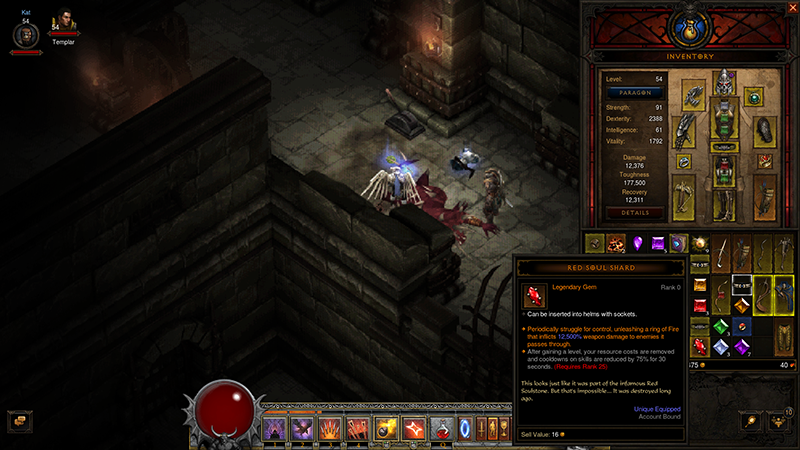 The Darkening of Tristram must be accessed via a portal, with clues to its location being found by hunting down cultists in Adventure Mode. Or you could just use the location info we’ve got just below. You can start the anniversary event content in Act I, at The Old Ruins waypoint, where you'll find a pentagram on the map labeled 'The Darkening of Tristram'. Head south from the waypoint into the town of Old Tristram and you'll find a town portal with the label of 'Tristram'. Enter the portal and you'll be presented with a new pixelated look for the game, letting you know that you're in the Anniversary Event itself. The event is a 16-level dungeon with four bosses: The Butcher, Skeleton King, Arch-Bishop Lazarus and The Dark Lord (Diablo). The latter two bosses are unmissable, you have to fight them regardless. The Butcher and Skeleton King are off the beaten path a bit. The Butcher's room is on Level 2 and marked with blood on both entrances, while the Skeleton King's room is on Level 4 in an area called 'King Leoric's Tomb'. Blizzard recommends that players begin the Anniversary Event with a new level 1 character, instead of taking your mainstay into classic Diablo. There's also a cosmetic reward based on tackling the dungeon with a fresh character. What Loot Can I Earn in the Diablo 3 Anniversary Event? Is There new Loot? There is a fair amount of loot to earn if you play through the Diablo 3 Anniversary event, but according to players who have already worked through the retro dungeon, the loot and achievements are the same as they were last year. If you took part previously and got all the rewards, there’s not really anything to play for this time other than enjoyment. Ogden's Sign and Ogden's Brew (Banners): Players who kill all four of the bosses in the anniversary event dungeon automatically earn these two banners. Red Soul Shard (Transmog): This is guaranteed drop off of The Dark Lord. It can be used to transmog head slot equipment. 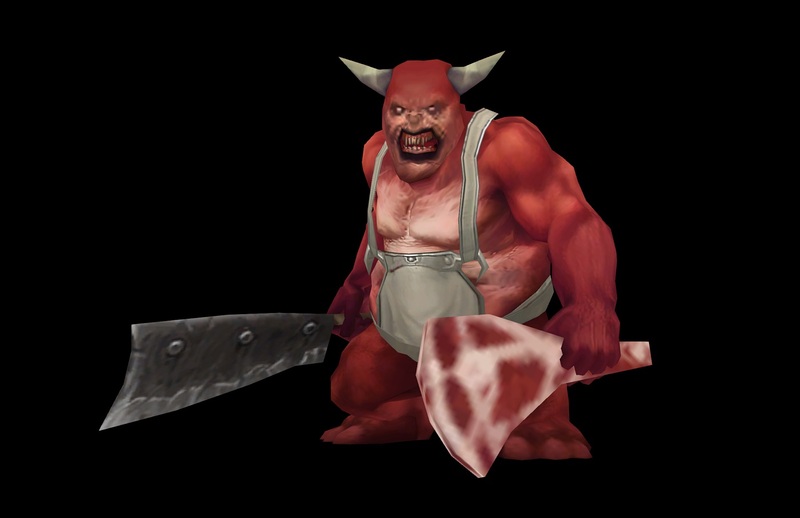 The Butcher's Cleaver (Transmog): This is guaranteed drop off of The Butcher. It can be used to transmog 1-handed axes, swords, and maces. In Level 9 of the dungeon, find the Black Mushroom and click on it to obtain a Rotten Mushroom. Go back to Old Tristram and find Adria's Hut. Throw the Rotten Mushroom inside the cauldron to obtain Witch's Brew. Click the four corpses in town in this order: Farnham, Ogden, Pepin, and Griswold. The last corpse will drop the plan for Wirt's Leg. Then you can teleport back to town and teach it to the Blacksmith. You'll find the plans under the Maces section. The Royal Calf (Pet): Salvaging Wirt's Leg offers up the Map of the Stars, which reads 2-1-3. Go back to Adria's Hut and click on the cow corpses in this order: middle, left, then right. This will open the Abandoned Farmstead portal. Head through the portal and find Wirt's Stash. Open the chest to get the Cow Pet Trinket and right-click it to earn the Royal Calf. The Butcher (Pet): When you clear the dungeon with a fresh level 1 character solo, you gain the 'An Eerie Red Glow Blurs Your Vision' achievement and the Butcher pet. Classic Angel Portrait: This is given for getting the 'I Sense a Soul in Search of Answers' achievement during the Anniversary Event. You have to find all seven Cultist's Pages, which drop from Temporal Priests in Act I areas. Each priest looks like a an off-color version of the Cultist enemy and each priest drops a page. They can drop duplicate pages though, so you may have to trade to complete this achievement. You can find them in The Weeping Hollow, Festering Woods, the Halls of Agony (Levels 1, 2, and 3), and the Cathedral (Levels 1, 2, and 4). That is everything you need to know about the Diablo 3 Darkening of Tristram Anniversary event. We hope you have a great time destroying the many horrors that await you in the dungeon. Tagged with Blizzard Entertainment,	Guides,	Macs,	PC,	Role Playing Games.